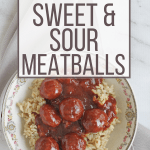 Pressure cooker sweet and sour meatballs make a quick and easy meal or appetizer for your next get-together! 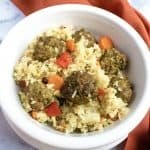 Using frozen meatballs in the pressure cooker saves time and effort! 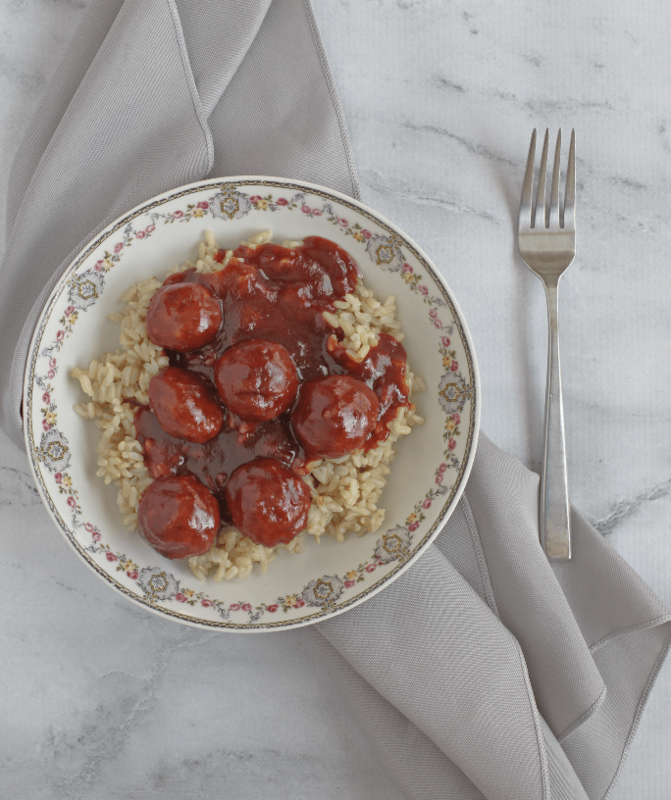 Chances are, if you’ve been to a number of parties or get-togethers over the years, you’ve probably had “grape jelly meatballs.” I first remember this classic appetizer from my childhood, when my aunt would make them for our family’s Christmas Eve gatherings. 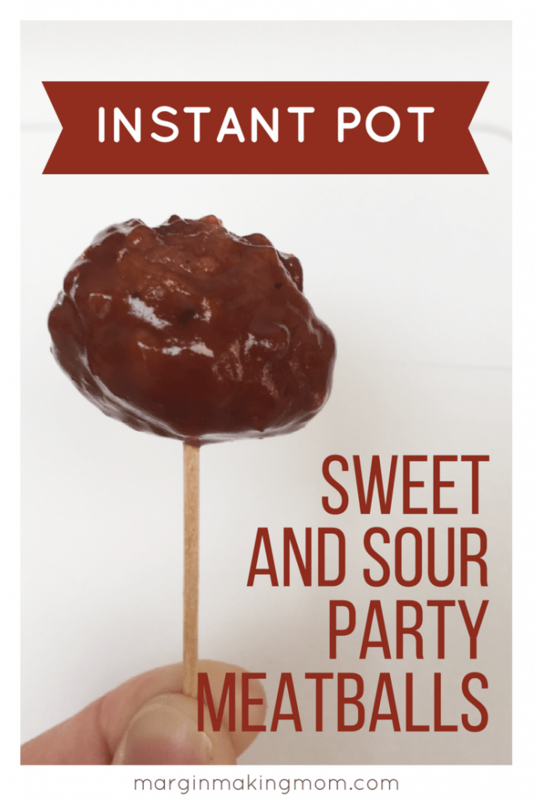 This traditional party food is typically made using grape jelly and ketchup, which is simmered in a slow cooker for several hours, creating a sauce similar to a sweet and sour barbecue sauce. I changed things up a little bit and used blackberry jelly and Heinz chili sauce (not to be confused with the sweet chili sauce found in the Asian food aisle, the Heinz chili sauce is usually found near the ketchup). They’re a really simple food that almost everyone loves, which makes them such a great party food. 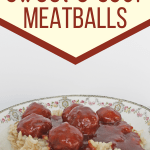 Since I’ve been converting slow cooker recipes to pressure cooker recipes, I decided to try making these sweet and sour meatballs in my Instant Pot. 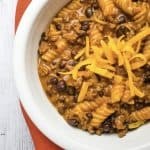 I just love how gloriously easy the Instant Pot makes cooking. I know so many people are intimidated by it, but it really has simplified meal prep in my home. These meatballs are no exception! What would normally cook for hours in the slow cooker only requires a cook time of 5 minutes in the pressure cooker. 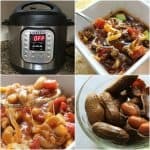 You do have to wait for the pressure cooker to achieve pressure, but that is still WAY less time than the slow cooker requires. 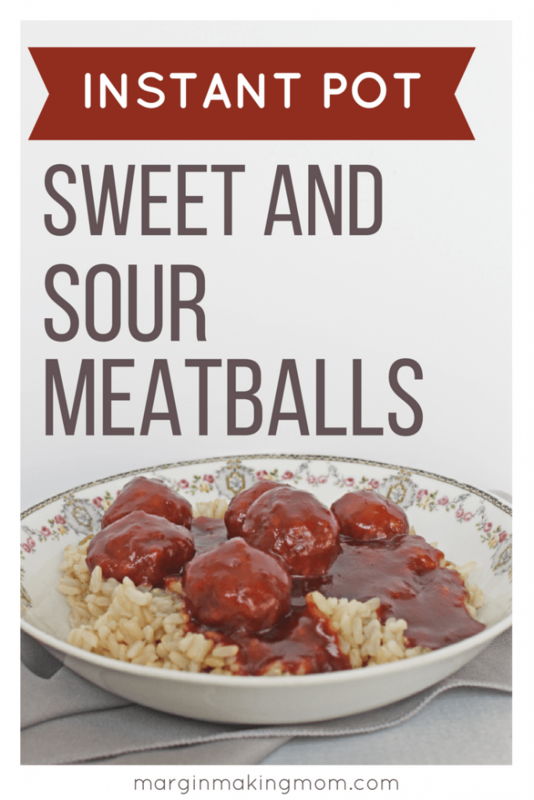 The other discovery I’ve made is that these meatballs actually make a really tasty meal, too! Add them to a bed of rice and they’re transformed from party food to dinner. Voila! 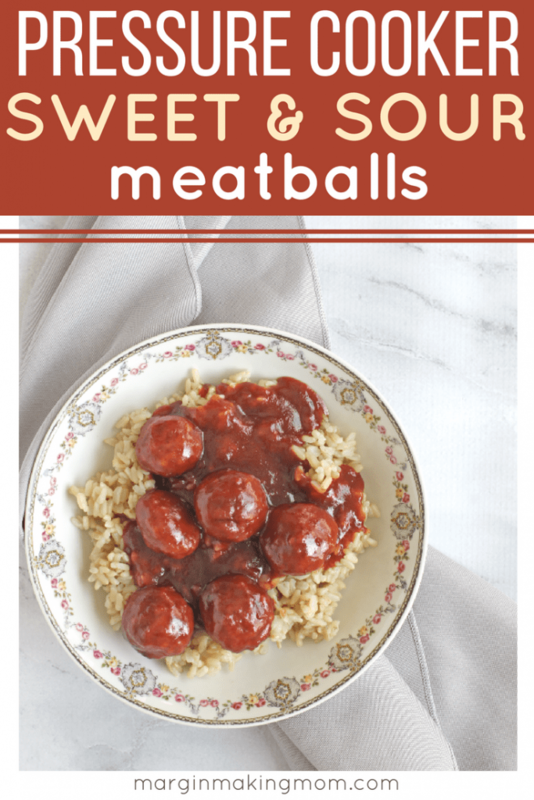 The sauce for these Instant Pot meatballs ends up a little bit thinner when cooked in the pressure cooker, so you can add a cornstarch slurry after cooking is complete and allow it to thicken up to your desired consistency. If you’re serving the meatballs as an appetizer, the thicker sauce may be desirable to decrease dripping. However, if you’re serving the meatballs over rice, I think either way would be fine. 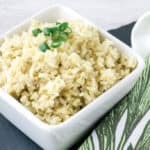 I used this pressure cooker brown rice, because it turns out perfectly every time. Since it makes more rice than I usually need for one meal, I like to divide the rice into smaller portions in zip top bags. Then I pop those bags into the freezer until I need more rice. To use the rice, I just add a couple tablespoons of water to the bag and microwave it. 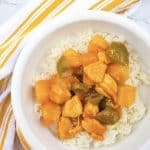 It’s so much cheaper than buying frozen cooked rice! Want to learn more about using your pressure cooker? 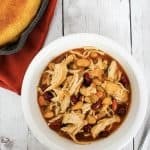 Check out everything you need to know about making easy pressure cooker recipes. In the insert pot of an Instant Pot, whisk together jelly, chili sauce, and water. Add frozen meatballs and stir to combine. Lock lid into place and set the vent to the sealed position. Select a 5 minute cook time at high pressure. When the cook time is complete, press Cancel/Keep Warm to turn off the pressure cooker. Perform a quick release of pressure. After the pressure has released and the valve has dropped, carefully remove the lid. If desired, turn on the Saute function and add the cornstarch slurry, stirring well to combine. Continue stirring while the liquid simmers to your preferred consistency.